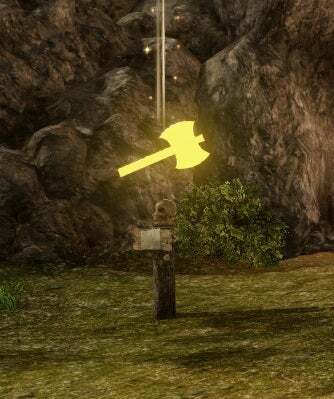 Learn about crafting in ArcheAge as well as the Random Gods element (RNG). Crafting will provide the best gear in the game, so much so, that its not really worth trying to find/buy items from NPCs in game. Just be warned however, it will take you some time and a bit of luck to get the top most gear. Some of these items you will be building say at level 20, then 24, then 30, 40, 50, etc. So you can see if you mess up early on, you ruin your chances for sucess down the line. Watch the video to get full details on what I am talking about. In ffxiv, you are only allowed to launch 2 clients at a time. But, there is a way to launch 3 or more. It it a little complicated, so please follow these instructions exactly. 3. Alt-Tab back to proc explorer. 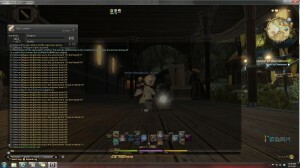 Find the FFXIV process and right click for Properties. 4. Copy the command line. 5. On your desktop or wherever, make a new shortcut. For the launch string, paste the command line you copied earlier. This shortcut will remain valid for quite a while (several days when I tested it). This will allow you to run 3+ clients, which is really great for botting. You can grab the FFXIV Bot from a site like MMOViper.com and use it to bot a full party together. Pretty neat no? Check them out. I am in desperate need of Guida, so I have been doing as many daily quests as I can find. I found this list that seems to have just about all of them. Feel free to enhance this list and keep it growing. Blue Salt East: Each give 1x Gilda Star. - Available from Blue Salt Wanderer and Animal Trainer in Caernord (Ynystere), Lutesong Harbor (Vilanelle), or Austera (Solis). Raising a Malfunctioning Leomorph - Raise Leomorph. Raising a Wild Snowlion - Raise glorious Snowlion. A Rare Perfume - 30 ground grain, chopped produce, dried flowers or ground spices. Guerilla Marketing - Must complete “A Rare Perfume.” Place vases around Tigerspine Mountains. Signs of the Salphira Cult - Collect 12 Hellhound leashes outside of Palace Cellar. Blue Salt West: Each give 1x Gilda Star. - Available from Blue Salt Wanderer and Animal Trainer in Seachild Wharf (Cinderstone), Ezna (Two Crowns) or Marianople. Raising a Wild Elk - Raise inferior western wildlife. Raiding a Wild Horse - Raise horse. Roadsend in Danger - Collect 8 gunpowder around Roadsend Guardpost. Guerilla Marketing - Must complete “A Rare Perfume.” Place vases. Others: Arena gives 1x Gilda Star. The dungeons give 3x Gilda Stars. Dungeon quests picked up outside dungeons. Blood, Sweat and Training - Kill opponent in Arena. Get from Gladiator Arena Manager in Solis or Ynystere. To the Arena! West | East - Bring packs to trebuchet before event ends. (approximately 00:00-04:00 in game time.) Pack should spawn close to quest giver. There is another time based one that needs to be put here. I can’t find the name of it at the moment since the servers are down, but it is grabbed off a Blue Salt board and is only available from 20:00-23:00? Any info would be much appreciated. Kill Akmit with a Mentee EAST - Finish PC with a Mentee (18-29) that has Kill Akmite With A Mentor (30-50). Kill Okape with a Mentee WEST - Finish Sharpwind Mines with a Mentee (18-29) that has Kill Okape with a Mentor. Kill Marmas with a Mentee - Finish Hadir Farm with a Mentee (31-39) that has Kill Marmas With A Mentor (40-55). Kill Hieronimus with a Mentee - Finish Burnt Castle with a Mentee (31-39) that has Kill Hieronimus with a Mentor. The Prophecy - Auroria quest/world bosses? More info would still be great. Cooking: Each gives 1x Gilda Star. Requires 15x Cultivated Ginseng, 50x Rice, 25x Garlic. Hearty Meal - Requires 5x Raw Chicken Meat in addition to above ingredients. Premium Hearty Meal - Requires 5x Raw Duck Meat in addition to above ingredients. Rare Hearty Meal - Requires 5x Raw Goose Meat in addition to above ingredients. For the average person, 12 Gilda stars per day should be quite easy. The Blue Salt dailes, PvP daily and PC/HF (East) or SM/BC (West) dailies are easy to complete even for sub-50 character. Hopefully this post helps a few people. If I have missed anything or there is any incorrect information please message me or post here. Many fish sticks were burnt during the editing of this post. PS, still not satisfied? Want more guides and maybe some exploits to make your life easier in ArcheAge? Head over to ArcheAge Guides for more. If you have not heard yet, this weekend will be one of the biggest beta events that the TESO ever had. Yep, no NDA! Join in the fun. Stream it, Share it, talk about it! 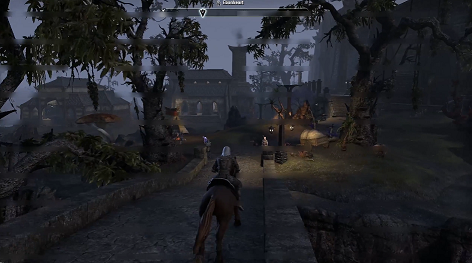 Keys are going fast, so click above and grab your TESO beta key! Bring a friend! 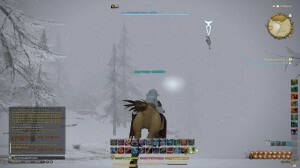 FFXIV Needs to be running before you start the hack. Multiple instances of the game are not supported. Tick the ‘enable’ box to activate, untick it to deactivate. It is recommended that you unbind ‘Point camera up’ and ‘Point camera down’ in the game. You can also press F2 to enable the hack and F3 to disable it. These hotkeys only work when the game is focused. As you can see in the video, you can easily set your char to run very fast (even while stealth) or fly above people. 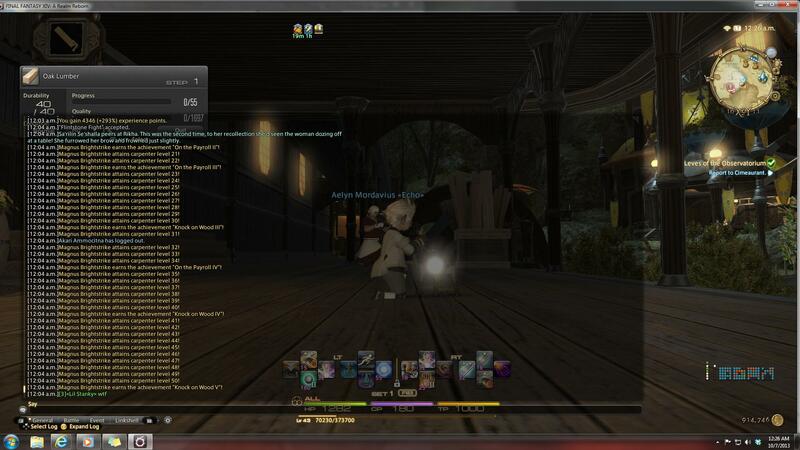 You can even use it to ffxiv exploit the game by going below ground where the mobs cannot hurt you and fight them. Grab it and enjoy while it lasts.